The decline of the Indus-Saraswati civilization was not caused by invading or migrating Aryans, instead the fate of the cities was affected by tectonic movements and hydrological changes. From the late 1950s, historians believed that Mohenjo-daro was destroyed due to tectonic shifts in the region. According to one version, tectonic movements blocked the course of lower Indus river which must have caused floods that submerged the city. An opposing and the currently favoured theory suggests that instead of submerging in water, the city was starved of water. This happened because Indus shifted away from Mohenjo-daro, thus disrupting the crop cycle as well as the river-based communication network. For the Saraswati, there are multiple theories. While one study claims that Ghaggar was a monsoon fed river and hence was easily susceptible to the vagaries of declining rainfall, there is another which shows that Sarasvati was a glacier-fed river and climate is not the only cause for changes. I discuss the details in my post What caused the decline of Harappa? 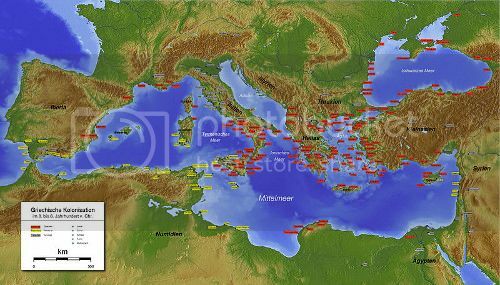 Eight centuries after the events in North-West India, the complex civilizations around the Mediterranean which comprised of thee Aegeans, Hittites, Egyptians and Syro-Palestinians collapsed and disappeared from history. This decline, in a similar manner to the collapse of the Indus-Saraswati civilization was blamed on invasion. It was assumed that Sea People invaded at the Nile delta, Turkish coast, and even into Syria and Palestine. New evidence indicates that there was a climate-change driven famine and the association with the sea people is causal.